TTL Systems has developed an application (TTL Mobile) allowing your company to gain visibility, communication and maximize efficiency by utilizing iPhones and iPads (iOS Operating System). This application is designed to improve the processes of trucking companies of any size. TTL Mobile's custom workflows can be the missing link between where you are and where you want your business to be. We want to empower you with technology capabilities that come along with high-end software for a fraction of the cost. Our team, with their extensive experience in the transportation and software industries, has created a fully customizable application that easily integrates with your current data to ensure you get the most from our product. We have a long list of workflows to choose from. If what you need is not on the list, we will design it for you. Note! With TTL Mobile, you will have the ability to instruct your drivers to collect specific information about a delivery or load using the keyboard, camera or bar-code scan. Every data point collected is accompanied with the location at the time the information was gathered. Track loads and delivery statuses using the location services available in TTL Mobile. Know where your drivers are, what they're hauling, and arrival times to their destination. 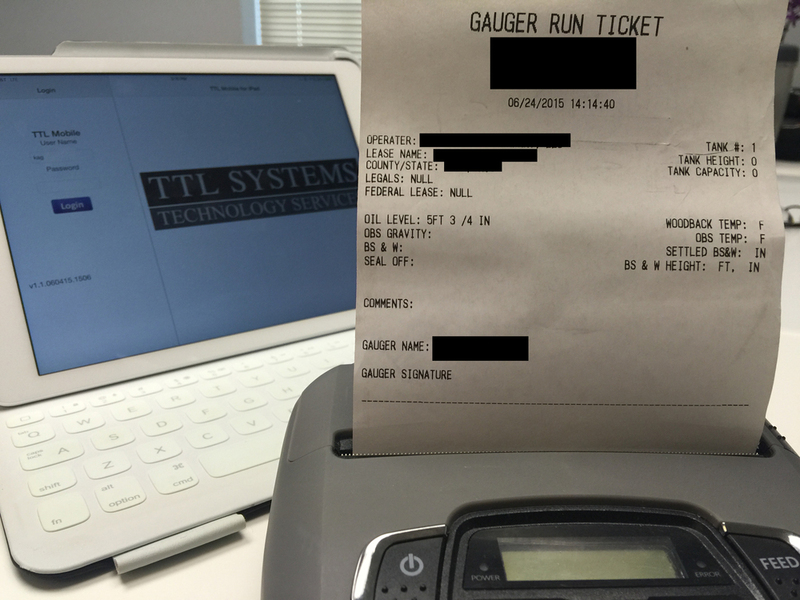 Drivers and personnel can also print out deliver tickets or receipts on site using our wireless Bluetooth printer providing your customers with a signed receipt of delivery. Didn't see what you need here? Don't Hesitate to ASK! We have the ability of incorporating custom workflows into the functionality of this app. We specialize in custom services and solutions. Let us help you make TTL Mobile a part of your daily operations.